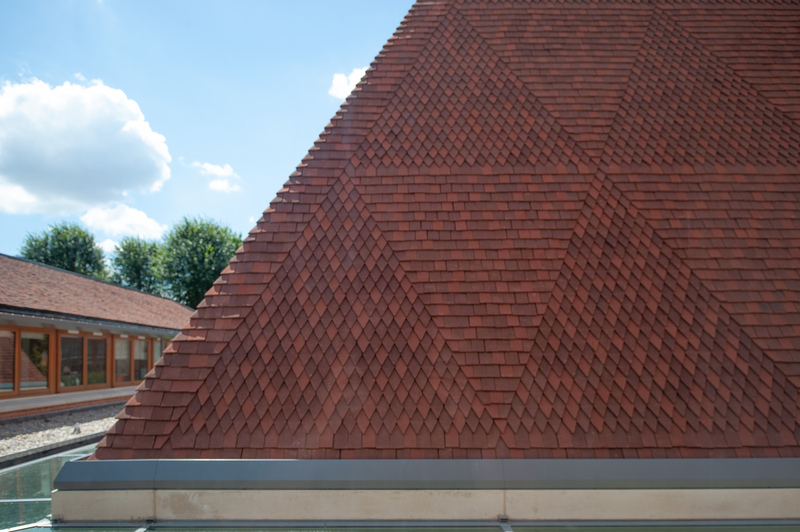 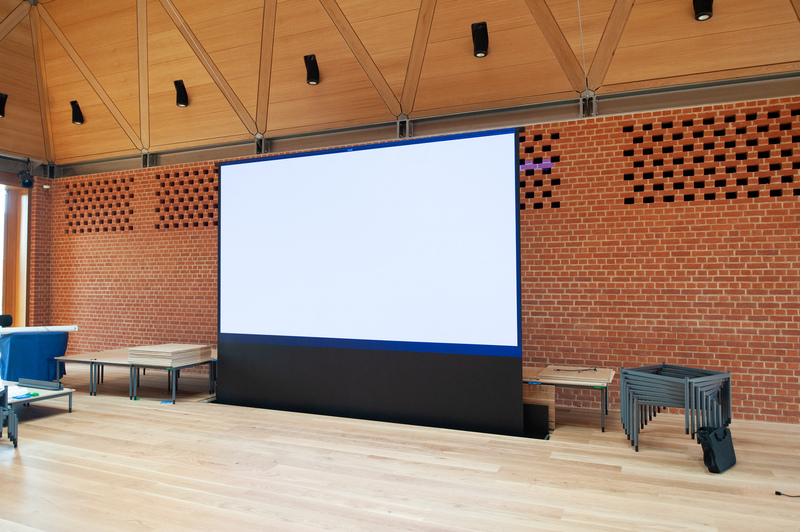 We have recently commissioned the magnificent new music building at King’s College School in Wimbledon, which has acoustic and audio-visual systems design by AJA. 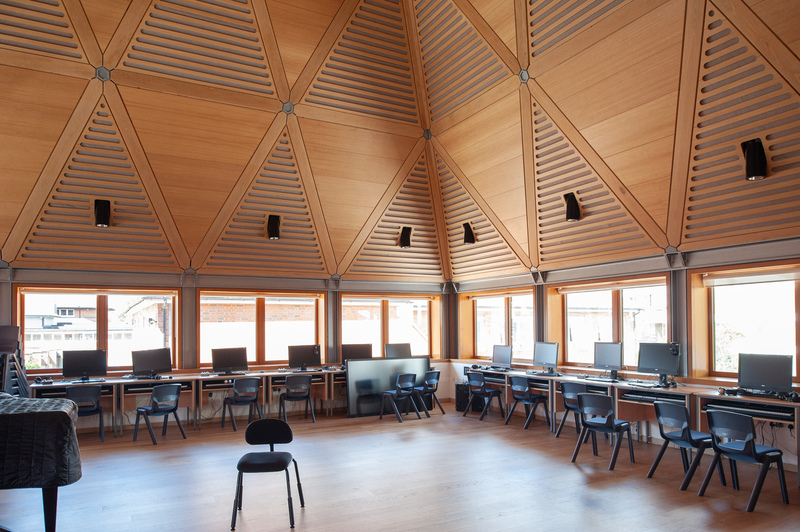 The three-storey building houses music classrooms, practice rooms, rehearsal rooms of all sizes and a recording suite. 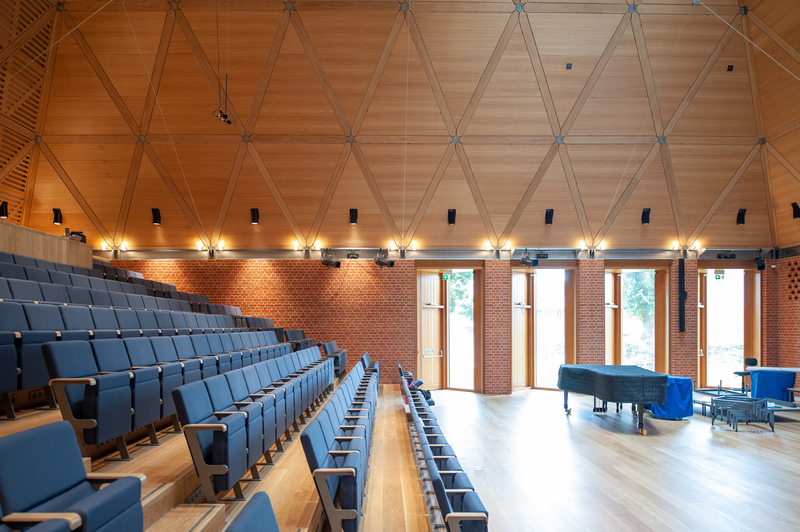 Pride of place goes to the extraordinary 200-seat concert hall, for which we designed a system of acoustically diffusing panels within the timber finishes of the sloping walls and roof. 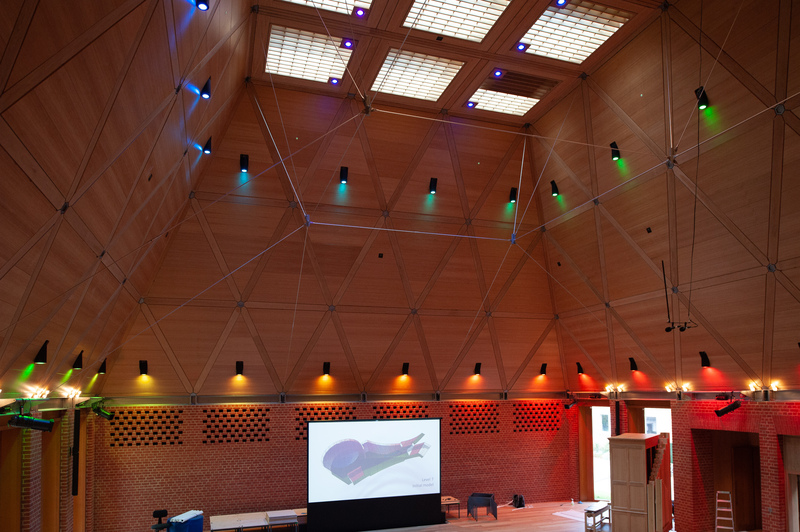 We also designed the performance lighting and audio-visual systems for the hall, which include LED orchestral platform lighting with full colour wash capabilities, an impressive floor-rising projection screen and a Crestron AV system providing a user-friendly interface for assemblies and presentations, all designed to fit discreetly into the architectural scheme. 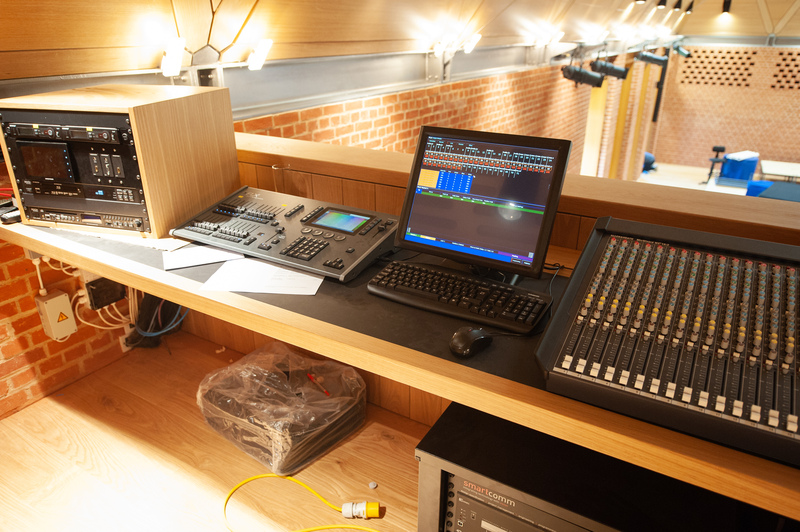 The auditorium is also set up for recording, with a permanently-installed Neumann stereo microphone pair and a full complement of analogue and digital audio connections to the recording suite. 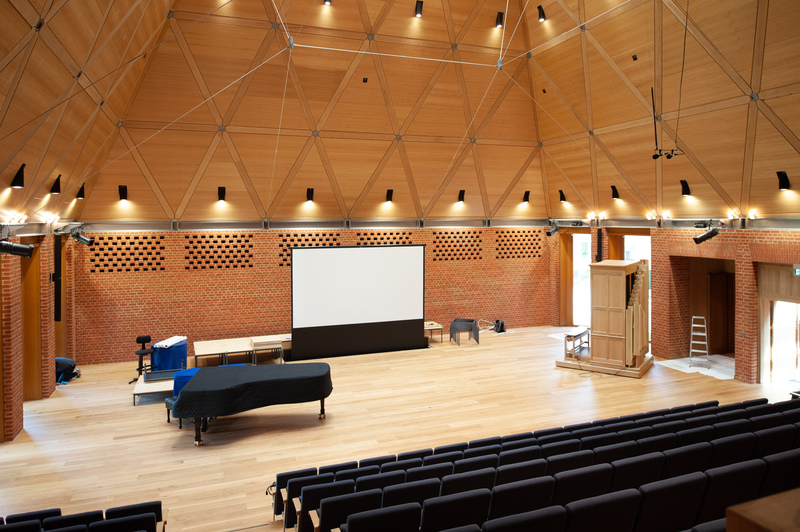 We are greatly looking forward to the formal opening of what promises to be one of the best music schools in the UK.